Aditya Yoga School has been accredited with Yoga Alliance UK as RYS 500. 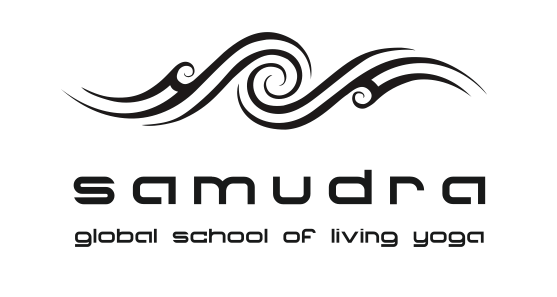 I’m deligthed to be able to offer the full spectrum of techniques of Vinyasa Flow Yoga with this innovative Advanced Teacher Training Program 300 hrs and 500 hrs. The accreditation with Yoga Alliance demonstrates that our courses are of the highest standard and that our graduates may use the title ‘Registered Yoga Teacher’ RYT 500 as a sign of quality training. The Advanced Vinyasa Flow Yoga 300 hrs/500 hrs Teacher Training runs in the format of six weeks intensive Modules offered in Central London every two months, beginning in October and ending in September the following year. The programs offered are highly experiential, transformational, innovative and intensive. They involve not only the study and practice of asana and various other techniques of pranayama, mudras, mantras, meditation, but also an in-depth study of the Philosophy and History of Yoga, Anatomy and Physiology of the Nervous, Endocrine and Lymphatic systems, Advanced Study of Subtle Anatomy and integration of the Wisdom of Yoga and Ayurveda in your daily Life. Empower teachers to grow and support their own evolution, creativity and inspiration by establishing a very solid personal Sadhana and self-care. To provide Teachers with the full spectrum of techniques for teaching Vinyasa Flow Yoga in an inspirational, joyous, ever-new and safe way to intermediate and advanced students. To root Teachers in the authenticity of the Yoga Tradition where there is endless source of Truth and Wisdom. To shift the “win-loose” paradigm that is dominant in our society and create a nourishing environment and support network where the power of co-creativity replaces the isolation of competition. + PranaFlow TT EFLOW Non Residential in London. At the end of the course if you have met all the criteria set by the school and attended all the moduels you will be able to register yourself as a RYT 500 Teacher with Yoga Alliance uk . Please fill the online Application Form if you are interested in submitting your application to enrol for the full course or to participate to one of the Intensive Modules.